Another Village Fishmonger CSA, another wonderful meal. This week, it was two pieces of beautiful yellowfin tuna steaks. 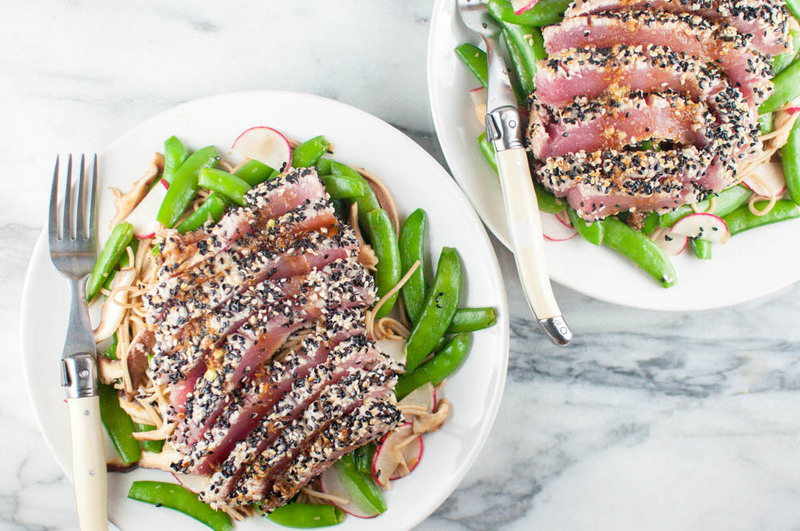 Instead of making a poke this time, I coated them with a mix of black and white sesame seeds and quickly seared on the pan for only a minute on each side. Thinly sliced, they were delicious over a bed of soba noodle salad with sugar snap peas, shiitake mushroom and radish in a soy wasabi ginger vinaigrette.